We all rely on agriculture every day--from food we eat, fibers our clothes are made of, and other materials we use each day to agriculture's relationship with our environment, economy, and society. And not too long ago, almost anyone could say they had a relative or friend who owned or worked in the business of agriculture. But in today's reality, less than 2% of our population actually produces food and other products on farms and the connections to agriculture for our future generations are fading. The economic, social, historical and scientific significance of agriculture on our local and global society is an important part of our yesterday and today, and what shapes our tomorrows. From this realization, Long Island Farm Bureau created the Education program. Each year, LI farmers from all walks of life and commodities, including vineyard owners, fruit and vegetable farmers, nurserymen, aquaculturists and agriculture research scientists, visit 4th grade classrooms and speak to children about agriculture, their farm, day-to-day activities and answer questions from inquisitive young minds. Some farmers will bring tools of their trade or slide shows of images from their farm. Others will simply crack open a pumpkin or a squash and talk about what's inside. These young minds, who have little or no connection to our farming roots on Long Island, (unless of course they live on the East End surrounded by the open stretches of land, get held up by tractor traffic or smell the fresh vegetables growing in a field nearby) find themselves intrigued by today's farmers. The once sullen, dusty, old-world images of farmers holding pitchforks, images many of us relate to farming, aren't a realistic view of the industry in 2016. Farmers don't just throw seeds in a field, water it and hope it grows. In today's industry, farmers are scientists, artists, mechanics, accountants, activists, leaders, students, and, of course, at the mercy of mother nature each and every year, all year long. Farming is no longer a seasonal business. They work year-round to keep their business thriving and growing and each commodity, or product, has their own season (greenhouse growers are most busy in the winter preparing for spring, vegetable farmers are most busy in the spring preparing for summer and fall, and oyster farmers are most busy in the fall and winter cleaning and harvesting their crops). 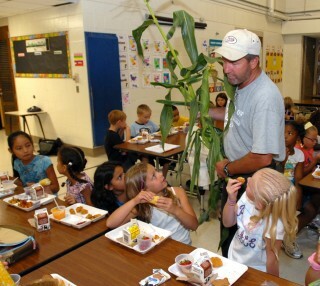 And so, Long Island Farm Bureau's education program was created as an outreach and educational program, for young minds to reconnect with their 'roots'. 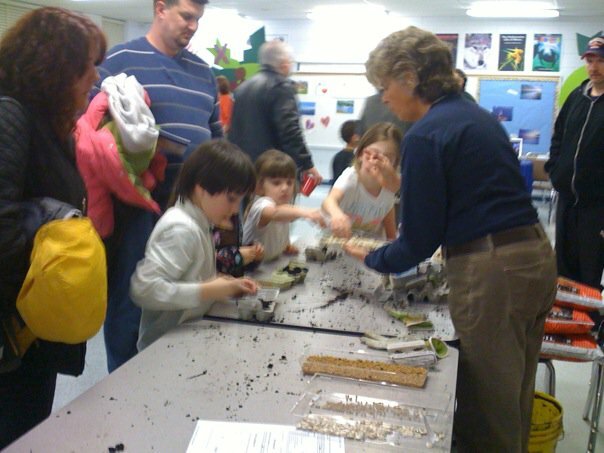 For more information about the educational program, visit www.lifb.com. Most crops on Long Island are planted and grow in the spring and summer and harvested throughout theyear. But not garlic. Garlic is planted just before frost, much like a flower bulb, and grows throughout the winter months beneath the ground, and ready for harvest in the spring. 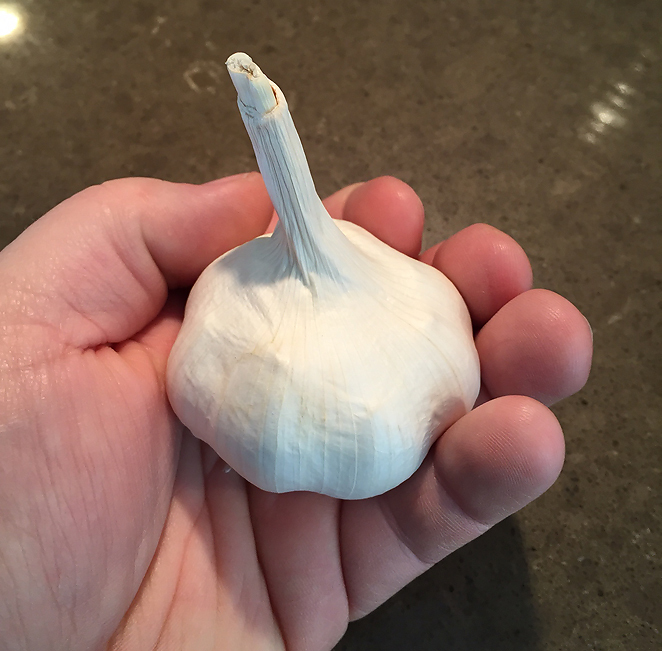 Garlic is not only tasty and flavorful, but there are a number of health benefits(aside from keeping so-called vampires at a safe distance!) including lowering high blood pressure and cholesterol. Its close relatives include the onion, shallot, leek, chive, and rakkyo. 1. Bake it or Grill it with a bit of olive oil and salt/pepper wrapped in foil. 2. Hummus - Mince it and add it to pureed chickpeas with a bit of olive oil and salt. This can be an amazing appetizer or use it in place of mayo or butter on sandwiches. 3. Salsa - finely chop green onions, tomatoes, garlic and basil and enjoy on crackers or toast. 4. Marinades and dressings - Make an amazing dressing by mincing or finely chopping garlic combine with olive oil, salt, pepper, pinch of sugar and your favorite vinegar or replace vinegar with Worcestershire sauce for marinade for any meat or seafood. 5. Sauces - Top pasta with a combination of olive oil, basil, sauteed garlic for a light sauce. Please join us, Thursday evening, January 14th at the Polish Hall in Riverhead for dinner and guest speaker, T.W. 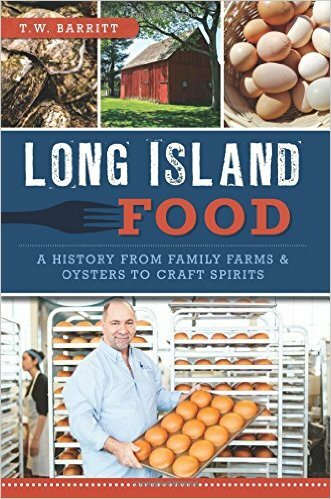 Barritt, a food writer and communications consultant who tells the stories of individual farmers, oystermen and food entrepreneurs in his book Long Island Food: A History from Family Farms & Oysters to Craft Spirits. Through these stories, Mr.Barritt discusses how Long Island’s rich farming and maritime past has inspired a food renaissance that is redefining the future of what is grown and eaten throughout the region. Tickets are available to the public; $28pp and include dinner, cash bar. For reservations, please call 631-727-7850 ext. 341. T.W.Barritt is a native of Nassau County, Long Island, and he grew up in the heart of suburbia in the 1960s. He has spent his professional career working in broadcast media and communications. A highly-trained amateur chef, Mr.Barritt attended the French Culinary Institute in New York City and contributes to the magazinesEdible Long Island andEdible East End. His essays on food history are featured in Entertaining from Ancient Rome to the Super Bowl, atwo-volume encyclopedia published by Greenwood Press in 2008. Long Island Food: A History from Family Farms & Oysters to Craft Spiritsis Mr.Barritt’s first book, which he describes as a suburban boy’s search for his local food culture.Barritt explores how immigrant families built a thriving agricultural and maritime community, producing everything from crunchy pickles, hearty potatoes and briny oysters, to succulent Long Island duckling. The book also profiles modern-day pioneers – in community agriculture, wine, cheese, fine dining and craft spirits – who are reinventing Long Island’s food landscape. Long Island Foodis published by American Palate, a division of History Press, and is available for $21.99.